Being in a country where we have the freedom to express ourselves is a blessing. A luxury not many countries have, openly advocating our point of view is something people have taken to soapboxes all over the nation. But what happens when a backward society stifles morality, while exploiting anti-family and anti-God stances? You get people who praise the wicked, while condemning those who do good. An Ohio high school student is feeling the brunt of skewed liberal thinking after she was suspended by the principal for expressing her faith. The Gay-Straight Alliance (GSA) was letting Lebanon High School know that they had a presence there by hanging LGBT flags around the building. This seemingly innocuous action, as seen by the liberal population, is far from innocent. The GSA has long been known to coerce children into becoming a part of the LGBT community, as Mommy Underground has previously reported. Gabby Helsinger was empathetic towards all the lost kids who get caught up in the confusion of the LGBT community, so she felt led to put up Bible verses around the school after seeing all the flags. Unfortunately, that is not how Lebanon High School is seeing Helsinger’s actions, and without notice suspended her for targeting the schools GSA club. 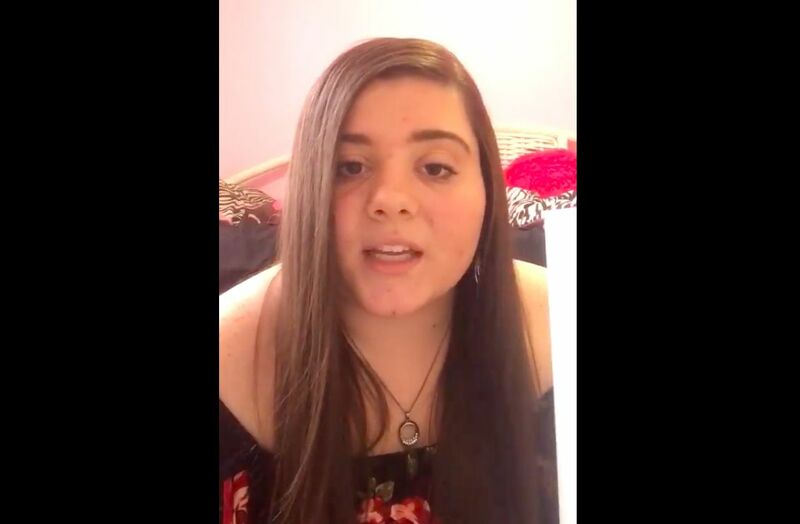 Gabby Helsinger, a Lebanon High School student, posted a video on Facebook Friday claiming she is being punished for “targeting” the school’s Gay-Straight Alliance (GSA) club. The same day the verses were put up, sharing a little inspiration with the hopeless students at the high school, a teacher was seen by Helsinger taking the verses down. Despite the inappropriate action taken by the teacher, and the clear bias of representation in the school, Helsinger did not engage the teacher or start any conflict. Thinking the peaceful attempt at expressing her faith at school was over, Helsinger came to school the following day as usual. A Bible verse is not rude, disrespectful, or abusive. Then the principal wanted to know if she had “permission” to put up Bible verses. She responded that she didn’t know you needed permission, because students put notes on lockers all the time. It is wrong that this principal targeted a Bible believing student for something that is not against school policy, reprimanding her and taking away her right to express her faith. But as we know, the superintendent already verified that the Code of Conduct was not broken. Butler is not facing any repercussion that has been reported since bullying a girl for believing in something different than him. This kind of bias and persecution of religious expression in public schools is widespread and inexcusable. Don’t fall victim to liberal bullying, and let your state officials know when your child’s freedoms are violated. Please let us know in the comments section if you have a child who has been targeted for believing in the Bible.